Things have been a bit hectic here over the past week and I just haven't had the time to sit and blog. So I thought I'd share a brief wrap up of some of our Valentines Day Fun. Several rounds of Tic Tac Toe from Musings of Me were played. What's a celebration without some window bling, of course heart shaped was the order of the day. Cut 2 hearts the same size from clear contact. I taped C's to his tray so it didn't keep sticking to his fingers. We thought feathers would be fun to try this time, instead of the regular tissue or cellophane paper. Once covered with feathers, lay over the 2nd piece of contact and seal the heart. You don't really need the second piece but this allows us to keep the decorations from year and makes removing them from the windows much easier. Sit back and enjoy the handiwork. This photo is kinda funky, not sure what's going on there! 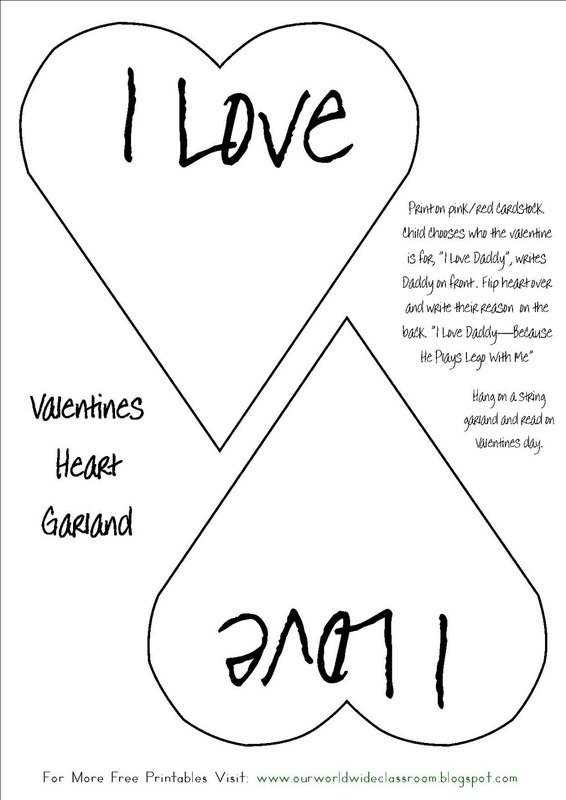 We all contributed to our "Why I Love You" Heart Garland, by completing hearts over the days leading up to Valentines Day. 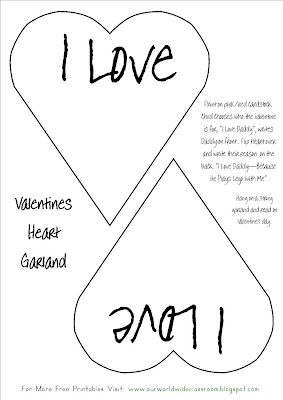 I made a simple template that I printed onto cardstock, on the front we wrote who the Valentine was for and then flipped it over wrote about why we love that person. The kids decorated them with stickers and paper flowers. That photo isn't the greatest I know, I had to smudge names and the garland didn't go the distance. I really need to do better with my garlands than just a piece of string and some sticky tape, I'm just saying you know! Any ideas for something semi permanent (so I can pull it down and put it easily) would be great. This was so simple to print off in publisher but I thought I'd share the file anyway (for next year of course ;-) ) download it by clicking here. We of course completed our Geometric Paper Quilt that I shared last week, see the full post here. A simple chocolate cake for dessert (which was a huge hit as we don't generally do dessert around here). I had nothing on hand to decorate it specifically for valentines day so after icing I grabbed some heart shape foamies, carefully placed them on top and dusted with icing sugar. It turned out so pretty I think I'll be using that one again. We set the table with our cake, my flowers from gorgeous DH and scattered our completed Valentines around the table (and I'm not sharing a photo because I can't be bothered to smudge all of those names on all of those hearts) it was very festive. After dinner we each chose one of the valentines that was addressed to us and read it aloud. It was fun, silly and a great way to spend the evening with my gorgeous family. Lovely, plain and simple fun for Valentines Day! I love the feather hearts for the window! I love the feather heart too. It sounds like you had a wonderful Valentine's Day! Very impressed with your chief cake cutter!